The Lake Rotorua Primary Producers Collective is committed to working with farmers and others to share views and expertise on sustaining farm profitability while reducing nutrient losses into Lake Rotorua. Effective collaboration requires a shared understanding of what the needs are, from an individual farmer to wider environmental and community perspectives. We need to take multiple perspectives on board as we work towards pragmatic solutions. StAG is also supported by staff from DairyNZ, Federated Farmers, Beef & Lamb NZ as well as staff from Te Arawa Lakes Trust, Rotorua District Council and Bay of Plenty Regional Council. The Collective also has a working relationship with the Lakes Water Quality Society – this was formalised through the “Waiora Agreement” in 2011. This relationship was important in getting StAG underway and helped support the “Oturoa Agreement”. The Oturoa Agreement was facilitated by local MP Todd McLay and led directly to resolving a crucial Environment Court appeal on the Proposed Regional Policy Statement. Rabobank realises that environmental compliance is becoming an increasing challenge for New Zealand’s agricultural industry, and individual farmers. Nowhere has the impact of increasing environmental regulation been felt more than in Rotorua. Rabobank is committed to continuing to support Rotorua farmers by providing them with the knowledge and information required to address this challenge. This reflects Rabobank’s long term commitment to work with farmers to help them develop farm specific solutions that both mitigate their business risks, and help to ensure financially and environmentally sustainable farming operations. The Lake Rotorua Primary Producers Collective has had Federated Farmers full support from its inception through policy development processes, communications and coordination. Supporting and advocating for the primary industry to be enabled in a sustainable way is our key focus and the Rotorua economy is largely driven by the primary sector. Federated Farmers has supported moves towards more collaborative ways of working together at national, regional and catchment levels and strongly advocates for investment in infrastructure and innovation to deliver win-win outcomes. The collective strongly aligns with this direction and will continue to have our support. DairyNZ is the industry good organisation representing New Zealand's dairy farmers. Funded by a levy on milksolids and through government investment, our purpose is to secure and enhance the profitability, sustainability and competitiveness of New Zealand dairy farming. We have been supporting farmers in the Rotorua catchment for several years. Our work includes research and development to create practical on-farm tools and leading on-farm adoption of best practice farming. As well as supporting on-farm change, we undertake research in water quality science and economics in order to advocate for policy that is based on sound evidence. 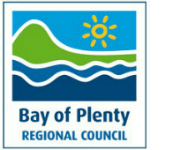 The Bay of Plenty Regional Council continues to work with the Lake Rotorua Primary Producers Collective and others to help develop a "rules and incentives" package that protects Lake Rotorua water quality. The key 2013 decision to share responsibility for nitrogen reductions between farmers and Council was initiated by the Collective and welcomed by Council for its pragmatic approach. The Collective's representatives on the Stakeholder Advisory Group regularly give frank advice on how any new policies can be as effective and fair as possible. This collaborative approach to policy development is challenging but Council believes it will deliver more enduring solutions that protect the lake while reducing costs to farmers and the wider community. 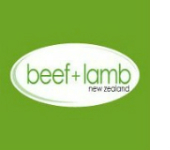 Beef + Lamb New Zealand is the industry good body for the sheep and beef industry and represents the interests of sheep and beef farmers. We support our farmers to make informed business decisions and promote their collective interests. Improving the water quality of the Rotorua Lakes is a significant challenge for the whole community. Beef + Lamb New Zealand supports the Primary Producers Collective in its activities to ensure that the productive sector is engaged in the process by which water quality is improved while primary producers continue to build sustainable farming businesses.